Wales assistant coach Shaun Edwards believes it could be time for the Six Nations to adopt bonus points to fall in line with other tournaments. Edwards argues that giving teams bonus points to chase encourages adventure. 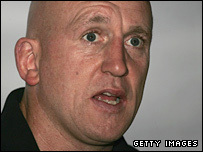 "It could be time to tinker with the format of the Six Nations," Edwards wrote in the Guardian. "If bonus points were awarded for four tries and those bonus points helped settle the title, there would be no argument against a bit of adventure." Edwards, who is also the head coach of Wasps, says that the bonus point system has improved every competition that has adopted it. Do you think it's time the Six Nations started using bonus points? "In every other tournament, the World Cup included, bonus points are awarded - one for scoring four tries and one for a losing side which keeps the gap down to seven points. The Six Nations gives two points for a win, one for a draw - and that's that," Edwards added. Edwards points out that since 1994 the Six Nations title is decided on points difference if two or more teams finish on the same match points. Before that year the title was shared by tied teams. The former rugby league great argues that system encourages teams to play safe even if they have a comfortable lead in a match, with penalties more likely to be taken as 'safer' kicks at goal to pad the winning margin rather than going for more tries. "Say a team has scored a couple of tries and has a reasonable lead when, with 10 minutes to go, it is awarded a kickable penalty," Edwards said. "The captain will signal to the posts, because he wants to widen the margin of victory. There's no argument with that. "But if bonus points were awarded... the win is safe, so hoof the ball into the corner, win the line-out, drive the rolling maul over the goal line and, with eight or nine minutes to go, there is still time to think about a fourth try. "The spectacle would be improved, as it would if the opposition had the extra incentive of clawing its way back to within seven points. "Every Saturday bonus points add to the spice of the Guinness Premiership. Perhaps it could be time for the Six Nations to give them a go."